Harajuku guy wearing a two-tone hooded jacket, striped pants, and black sneakers. 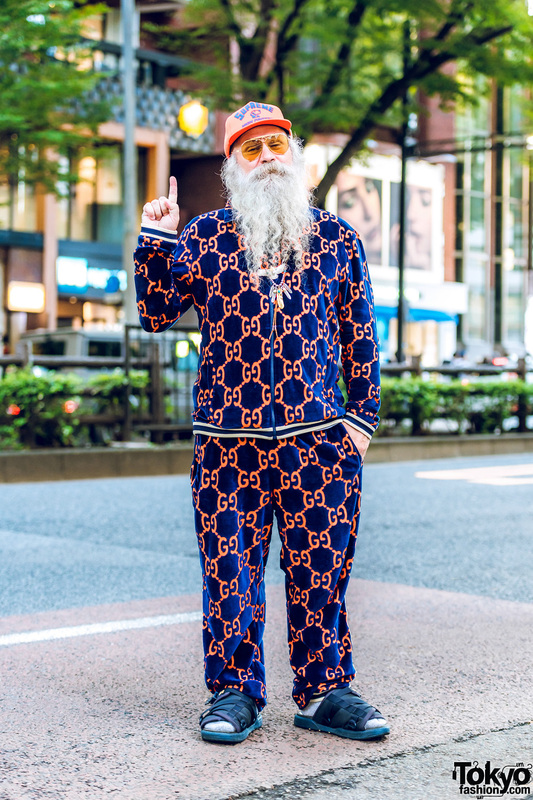 Greg Dacyshyn of Camp High Collective on the street in Harajuku. 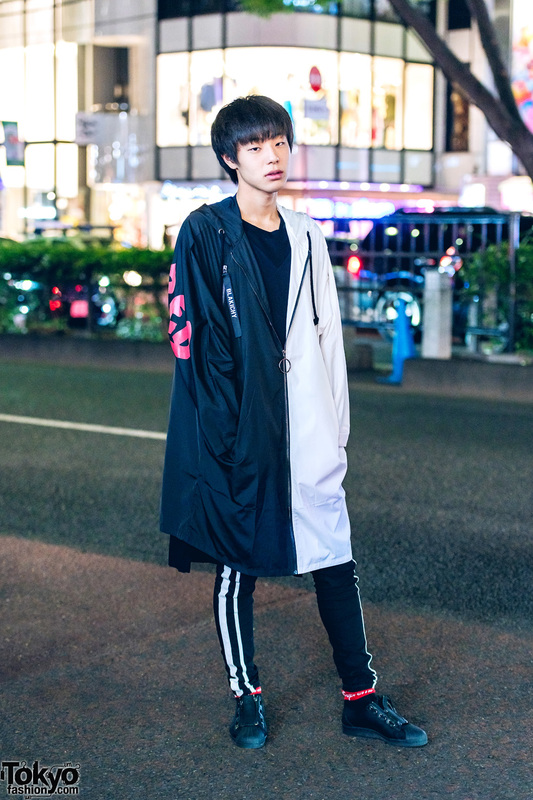 Japanese model and musician on the Harajuku street sporting a monochrome streetwear look while out and about one evening. Harajuku duo sporting colorful hair styles and chic ensembles while out and about on the Harajuku street. 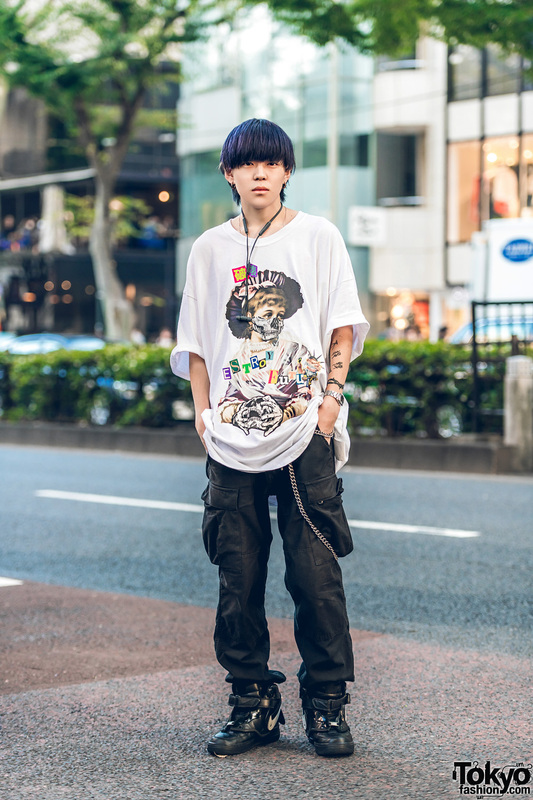 Japanese student wearing a punk-inspired graphic T-shirt and black cargo pants in Harajuku. Harajuku duo dressed in black street casual ensembles while out and about on the street. Peach-haired Japanese student wearing cut out cropped shirt, cut out camouflage print pants, remake sneakers and camouflage print pouch. 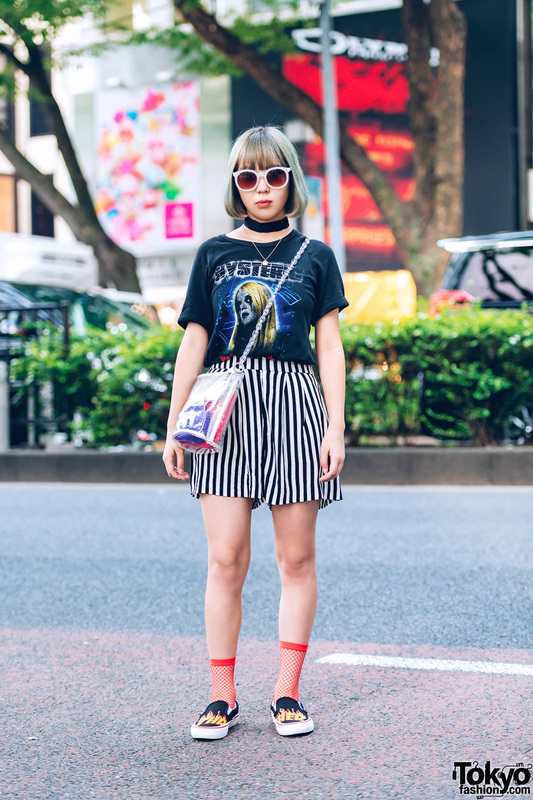 Japanese student with fringed bob sporting a casual chic ensemble while out and about on the Harajuku street. Japanese girl trio sporting vintage and edgy street styles while out and about on the street.